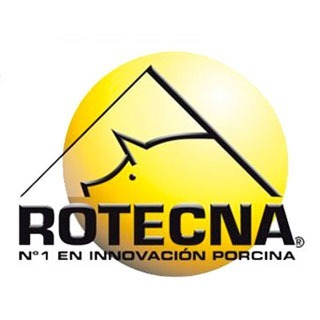 Rotecna, is based in Agramunt (Lleida, Spain) and since 1991 we are dedicated to the manufacture and marketing of equipment for pig farms. The first product, the hopper Feeder Grow fattening, has adapted and evolved in step with Rotecna, and today remains the flagship product. The expansion of the company, from the first product to the current range has been rapid and continuous. The success has been based on quality and innovation, entrepreneurial attitude and the desire to be present in all world markets. These have been from the beginning, the guidelines. Rotecna is a leader in the sector and can now be proud to have the most extensive range of products manufactured exclusively for the pig sector. Rotecna has laid a very solid foundation and its continued growth attest: export about 70% of production, with more than 80 countries where it has distribution points. The current situation with the restructuring that markets are suffering, leaves no room to stay back and Rotecna know, now more than ever, that its policy of internationalization should make every effort, innovation and automation of its products to be competitive in these markets. This effort follows a continuous process of investment and should be bet today, to continue to be present tomorrow.